Hikari Micro Wafers contains high grade vegetable and marine vegetable protein which improved water quality and digestion in all small to medium sized tropical fish. The wafers are the world's smallest and are rich in Spirulina and Astaxanthin which promotes excellent colouring. 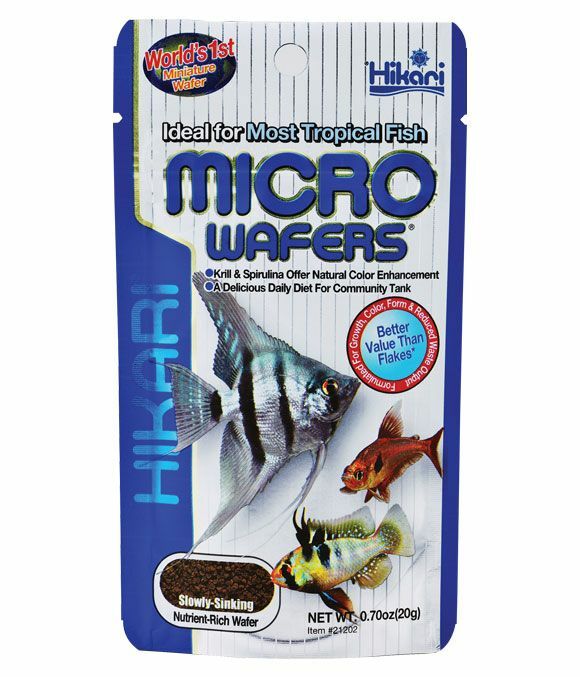 There are currently no questions for Hikari Micro Wafers Fish Food - be the first to ask one!